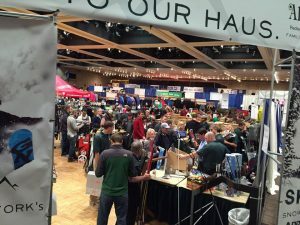 Albany, NY – Skiers, snowboarders and winter sports enthusiasts are invited to get a first look at the newest industry trends while sampling their favorite local brews during the Northeast Ski & Craft Beer Showcase, presented by Alpin Haus, at the Empire State Plaza Convention Center in Albany, from Friday, November 4 through Sunday, November 6. 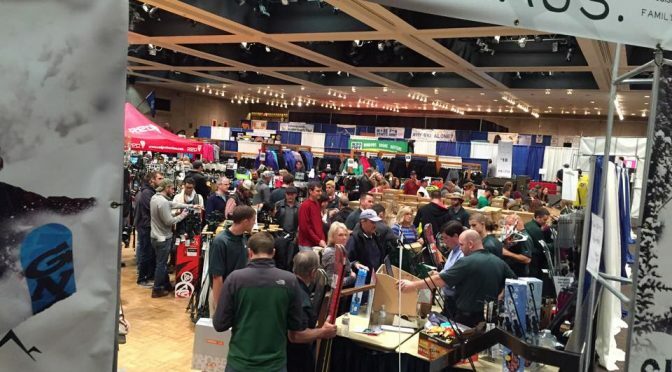 The consumer show, formerly known as the Albany Ski & Snowboard Expo, will feature mountain resorts from across the Northeast and beyond, alongside an expansion of the show’s popular Craft Beer Garden, which was successfully introduced during the 2015 show and will for the first time be offered all three days of the event. The show will offer skiers and snowboarders an opportunity to survey and shop for winter sports equipment and fashion from leading retailers and manufacturers. In addition to top brands from Alpin Haus, the Northeast Ski & Craft Beer Showcase will feature gear, equipment and apparel from Potter Brothers Ski & Snowboard Shops, Steiner’s Sports, and other major area retailers. The Northeast Ski & Craft Beer Showcase will provide winter sports fans with a cost-effective way to hit the slopes this season with three days of lift ticket offers to various New York and Vermont mountains. The first 500 guests attending the event on Friday will receive two-for-one lift tickets to Vermont’s Bolton Valley, Bromley Mountain Resort, Magic Mountain, Mount Snow, Smugglers’ Notch, and Stratton Mountain Resort. The first 500 guests attending the event on Saturday and Sunday will receive two-for-one lift tickets to New York mountain resorts, courtesy of I Ski NY, including Belleayre Mountain, Catamount Ski Area, Gore Mountain, Hunter Mountain, Oak Mountain, Whiteface Mountain and Windham Mountain. Lift ticket vouchers are strictly limited to one per customer with full paid admission. On Friday and Saturday, each person in each party will receive a two-for-one lift ticket voucher to a different mountain. On Sunday, up to two people in each party may receive a free lift ticket voucher to the same mountain. Restrictions and blackout dates apply. Jiminy Peak Mountain Resort and Bromley Mountain will host Riglet Park at the Hannaford Family Fun Zone. The indoor attraction is designed to introduce young children to the sport of snowboarding. Kids can simulate the experience with a snowboard and helmet as they are pulled through a series of obstacles by experienced instructors. Children will also enjoy free face painting with Tiny Tots Tea Room on Saturday and Sunday from noon to 4 p.m. The Craft Beer tasting, which will feature a variety of regional craft beers as well as winter-themed food samples such as chili and mac and cheese from Mazzone Hospitality, will be held from 4 to 8 p.m. on Friday; and noon to 4 p.m. on both Saturday and Sunday. The Friday edition of the show will offer guests the opportunity to meet representatives from their favorite Vermont breweries, including Long Trail Brewing; Magic Hat Brewing Company; and Otter Creek Brewing Company. On Saturday, New York breweries will be highlighted with ambassadors on-site from Adirondack Brewery; Brown’s Brewing Co.; and Druthers Brewing Company. The full list of participating breweries will be announced in the coming weeks. Tastings will cost $5 for five sampling tickets, which can be used in any combination for selections of craft beer and food. Sampling tickets are available for purchase separately with paid admission to the event. Visitors must be at least 21 years old to participate in craft beer tasting; a valid ID is required upon entry to the Beer Garden. Local musician Brad Hester from the band Annie in the Water will perform at the Craft Beer Garden on Saturday and Sunday. This year’s show will also include the debut of Off Road Avenue, powered by Seymour’s Motorized Sports, featuring the latest snowmobiles and ATVs from top manufacturers, including Ski-Doo, Cam-Am and Suzuki. 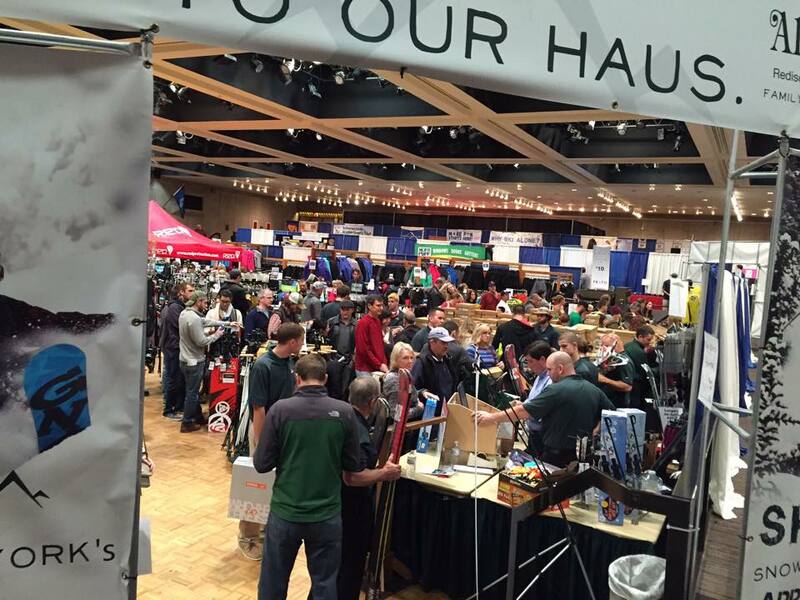 The Northeast Ski & Craft Beer Showcase will take place at the Empire State Plaza Convention Center Albany on Friday, November 4 from 4 to 9 p.m.; Saturday, November 5 from 10 a.m. to 6 p.m.; and Sunday, November 6 from 10 a.m. to 5 p.m. Advance discount tickets are available for $8 online at northeastskishow.com. Tickets at the door will cost $10, while children 12 and under accompanied by an adult are admitted free. Online ticket sales end at 10 a.m. on Friday, November 4.